Catholic News World : Pope Francis speaks against the Death Penalty "...a serious violation of the right to life that every person has." 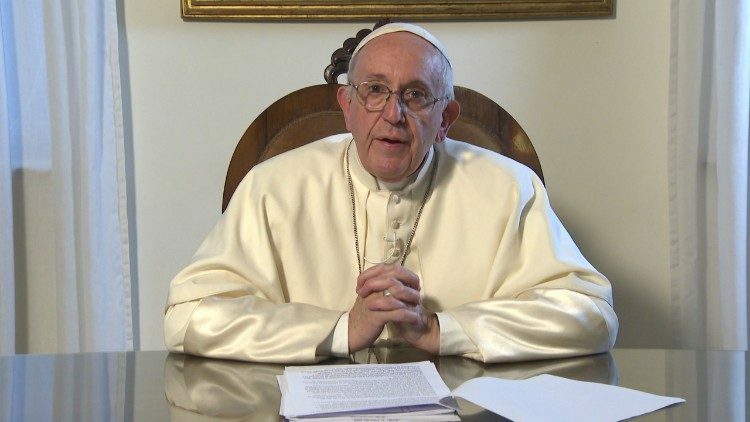 Pope Francis speaks against the Death Penalty "...a serious violation of the right to life that every person has." I greet the organizers and participants in the VII World Congress against the death penalty, which is held in Brussels. Human life is a gift that we have received, the most important and primary, source of all other gifts and all other rights. And as such it needs to be protected. In addition, for the believer the human being has been created in the image and likeness of God. But, both for believers and non-believers, every life is a good and its dignity must be guarded without exception. Capital punishment is then a serious violation of the right to life that every person has. While it is true that human societies and communities often face very serious crimes that threaten the common good and the safety of people, it is no less true that today there are other means to atone for the damage caused, and Detention systems are increasingly effective in protecting society from the harm that some people can cause. On the other hand, the conviction of offering even the guilty of crimes the possibility of repentance can never be abandoned. For this reason, it is a positive sign that more and more countries are betting on life and no longer use the death penalty, or have completely eliminated it from its criminal legislation. The Church has always defended life, and her vision of the death penalty has matured. For this reason, I wanted that this point be modified in the Catechism of the Catholic Church. For a long time the death penalty was taken into account as an adequate response to the seriousness of some crimes and also to protect the common good. However, the dignity of the person is not lost even if he has committed the worst of the crimes. No one can take his life and deprive him of the opportunity to embrace again the community he hurt and made suffer. The objective of the abolition of the death penalty worldwide represents a courageous affirmation of the principle of the dignity of the human person and of the conviction that the human race can face crime, as well as reject evil, offering the condemned the possibility and time to repair the damage committed, think about their action and thus be able to change their lives, at least internally.